Would it be possible for the Lego Batman Movie Minifigures to be listed separately as a theme in the minifigures collection table as opposed to being lumped into the Super Hero theme? The Lego Ninjago Movie Minifigures are already listed separately from the regular Ninjago theme. I think that's to do with how they're listed at bricklink - the minifigure only listings is where the brickset minifigure data is collected from. Yes, and the debate has been had in their forum too. Yes, we are reliant on BrickLink's categorisation. Oh well. Thank you for the quick responses! if if there was way to edit that I would volunteer to manually modify to Super Heroes section. Awesome! 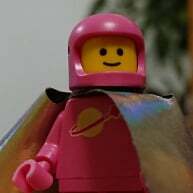 Can the TRU bricktober minifigs also be added? Couldn't this be achieved by adding a tag to all the necessary minifigs? I thought you could make your own query, but it seems it only works with sets? @CapnRex101 could you tag the collectible minifigures also?